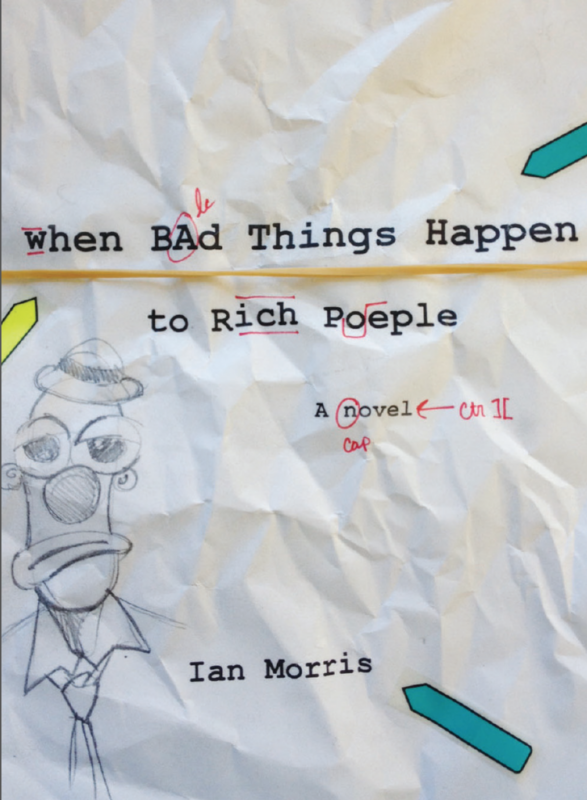 When Bad Things Happen to Rich People is a novel of social satire, a black comedy set in Chicago in the summer of 1995. The novel’s protagonist, Nix Walters, is an adjunct instructor of English at a communications college in the loop with few prospects for advancement. He had become a literary punch line when his novel, touted as the next big literary phenomenon, was universally panned by critics. He and his pregnant wife, Flora, are struggling financially; however, their fortunes change when Nix is asked to ghostwrite the memoirs of publishing magnate Zira Fontaine. While grateful for a lavish author fee, Nix quickly finds his marriage, his career, and his sense of identity threatened as he struggles with a difficult subject, navigates office intrigue of Fontaine’s corporation, and faces impending fatherhood. These tensions come to a turbulent climax when a brutal heat wave hits the city. Written in the spirit of great naturalist novelists of the previous century, such as Dreiser, Norris, and Crane, with a black comic twist, Morris’s first novel is a study in aspiration and self-deception in the face of unforeseen adversity. Set among the broad lawns of Lake Forest where the domestic staff skim leaves from the pool and the sweltering streets of Chicago’s pre-gentrified Wicker Park neighborhood, where children plunge into the raging stream of open fire hydrants, When Bad Things Happen to Rich People is a broad panorama of our current social reality.